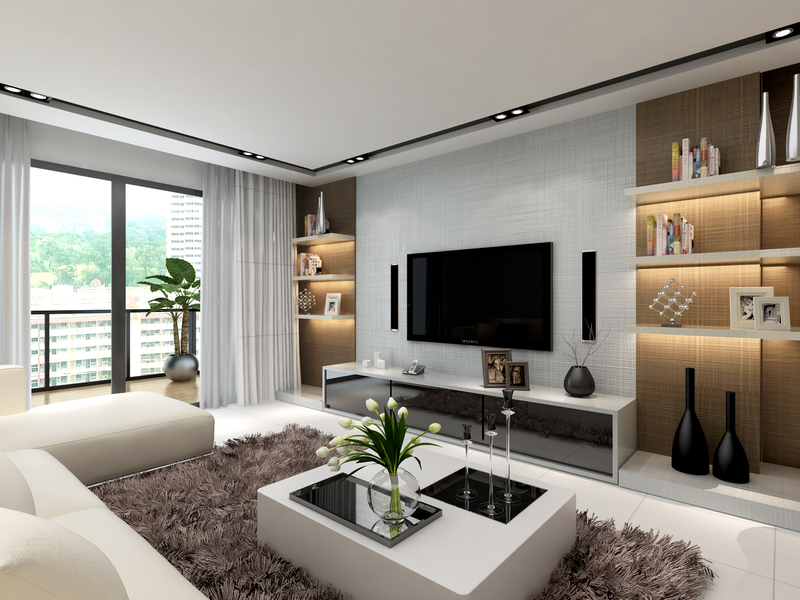 Decorating your own apartment can be exciting, but it can be nerve-wracking when you are unsure about what colours to use, what decor pieces to buy. Because of all that, most tend to overlook the fact that their walls remain bare. For starters, consider adding a dose of pattern to your interior scheme and to give you a little kickstart, take a look at our four tips in bringing our pattern laminate sheets into your space. Mixing patterns can be tricky and if you want to play safe, go matchy-matchy. Homespun Knit Grigio (PJ2278HR) and Homespun Knit Noisette (PJ2378HR) laminates make a harmonious combination with its similar pattern. These fabric laminates will not only create a sense of cohesion, their design will also appear beautifully under accent lighting. It is important to work with existing pieces instead of against it to avoid visual clutter. 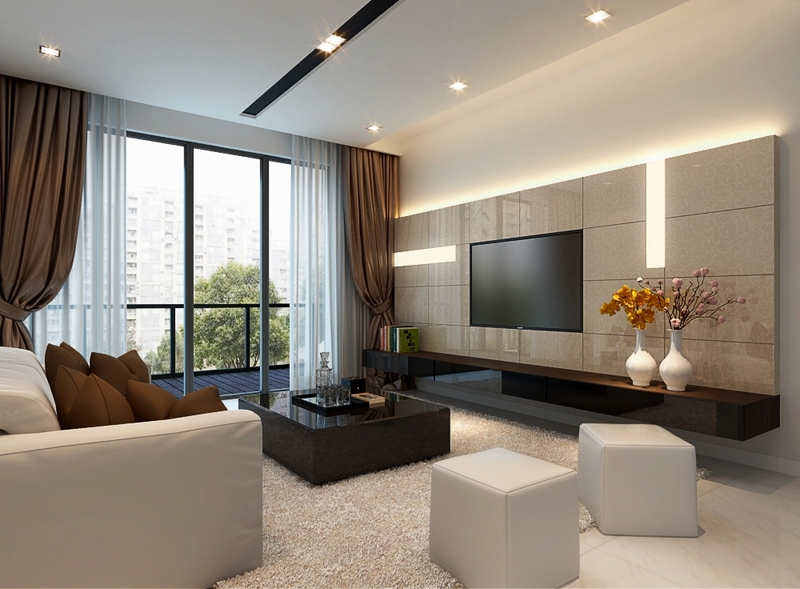 We all know that the sofa usually takes up majority of the space in the living room, thus keeping its colour in mind is essential when you are deciding on the other decorative elements of your abode. For example, Grey Ash (PG8338R) laminates balances out the otherwise dominating, dark brown seating. 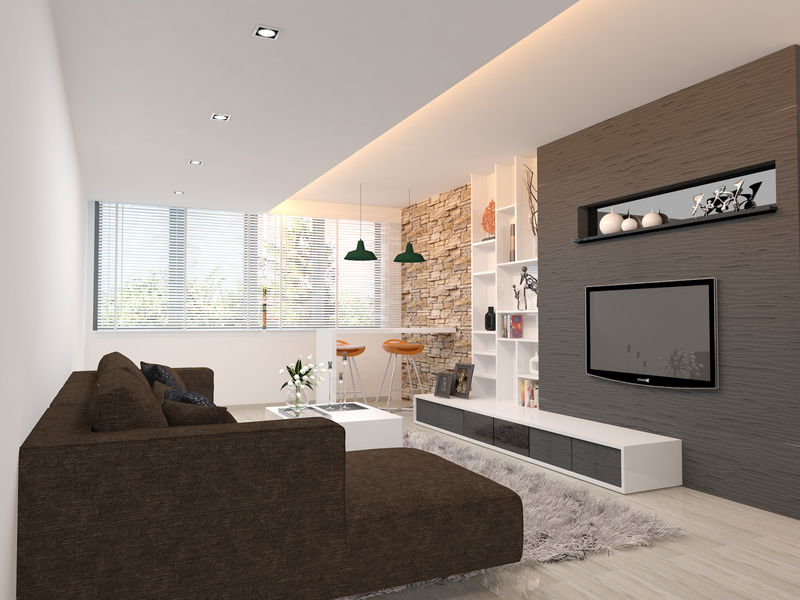 Even if you intend to switch up your decor in the future, these grey laminates are of a versatile shade that will easily work well with any colour. 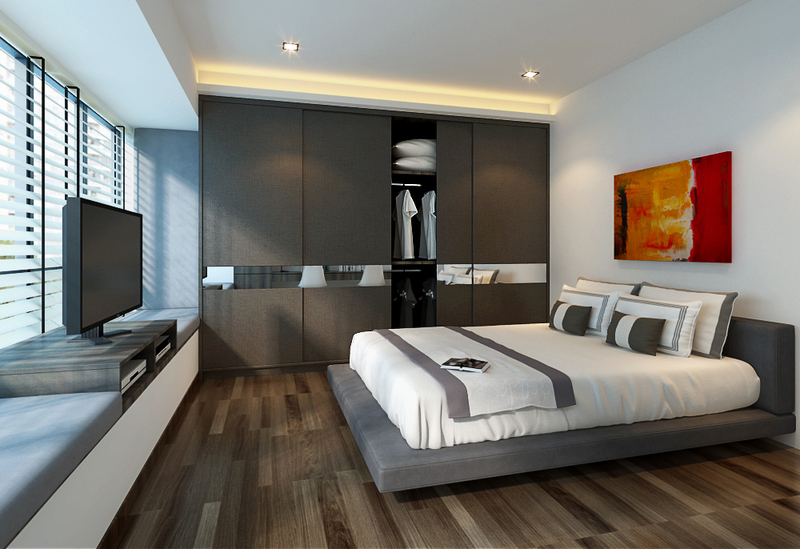 If you have art pieces that you want to draw attention to, a more toned-down laminate might appeal to you. Here, we let the current decor dictate the colour scheme of the laminates, using Dark Fabric (PG2988DE) laminates on the cabinet doors. The bedroom should cocoon you to sleep after a long day and these gorgeous laminates certainly creates an enveloping atmosphere of relaxation when paired with this bedroom’s dark palette. Florals usually give off a feminine feel but Krem Sarmasik (PQ2009HG) laminates provides a gender-neutral choice for couples to be head-over-heels for. Your living room will certainly be in full bloom in time for your housewarming party. If a simple yet elegant look is what you have in mind, these laminates will definitely fit your taste. Aside from having its own little sparkle from its shiny surface, these floral laminates will be a stunning backdrop that highlights the wall without overpowering the space. Especially if you love nature, Krem Sarmasik (PQ2009HG) laminates will keep your home blossoming all year round! 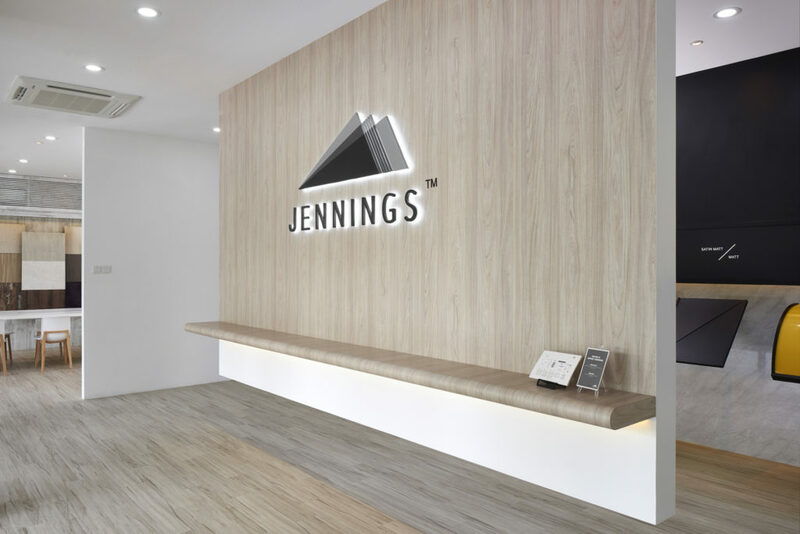 At Jennings, our laminates are the perfect addition that allows you to easily update the interior of your home. If you are uncertain about using patterns, why not come down to our laminate gallery to take a closer look? A simple addition of our laminate sheets might just take you a step closer to interior design dream.